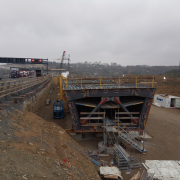 On February 8th, 2019 the bidding consortium Züblin/Donges/Strabag was awarded the contract for the replacement construction of the Grumbachtal bridge by the State Office for Road Construction, Neunkirchen. The total order volume amounts to around € 71 million. 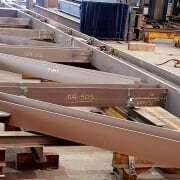 Donges SteelTec has been commissioned with the manufacture, delivery and assembly of the 4,800 t steel structure and the corrosion protection work and will thus take over almost 30 % of the order volume. The construction will be carried out in 2 phases of 2,400 t each, with the first phase to be completed in 2020 and the second phase in 2022. 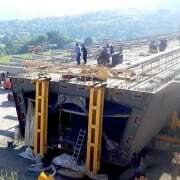 This will ensure good capacity utilisation of the Donges bridge production facilities beyond 2019. The existing structure is a composite bridge, built in 1961. As it is not possible to repair or reinforce the structure, it will be replaced by a new structure. 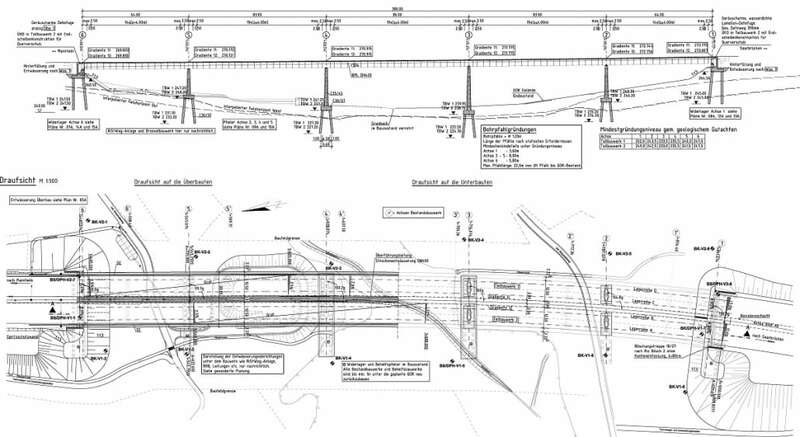 The new construction is planned as a composite bridge with two separate superstructures. In order to maintain the four-lane traffic during the entire construction project, the superstructure of the 2nd partial structure will initially be constructed in a provisional lateral position on temporary substructures. After demolition of the existing structure and erection of all final substructures, as well as after construction of the superstructure of the 1st partial structure, the superstructure of the 2nd partial structure will be moved to its final position. The temporary structures are then to be demolished. 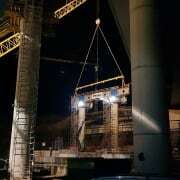 The spans were optimised in terms of structural design. In order to avoid a collision between the foundation of the existing building and the foundation of the new building and the associated complications during the construction of the structures and the bored piles, the spans were increased in comparison to the existing building.